I recently took a quick poll in my middle school social studies classes. My question pertained to an app I’ve heard about from students. The free app, Musical.ly, is like YouTube for self-created music videos. In my classes, most all hands went up. They were almost all consumers of Musical.ly videos. How can we take something students have an authentic interest in—consuming and creating music videos—and make it a multi-media project-based learning activity? Let’s explore! How can we incorporate best practices in PBL into a music video project using different tech tools? Let’s take a look. For those in the uninitiated, Musical.ly takes the silliness of lip-syncing songs to the next level. You choose a song in the app, and then create a lip-synced music video—with you as the star! The app does all of the heavy lifting, matching up the singer’s lips to the lyrics. So where are the educational applications of this? Isn’t this just like Snapchat, but with music? And what does this all have to do with Flocabulary? Musical.ly does more than produce music videos. User-generated content is shared socially within the app’s ecosystem. This means that an active participatory culture exists—one that promotes best practices within a community of practice. In other words, my students who have the app watch lots of user-made videos. Then, based on the exemplars they consume, they begin to create content that fits the expectations of the community. Finally, the community rates work that is shared and published. We see similar communities like this already on YouTube. 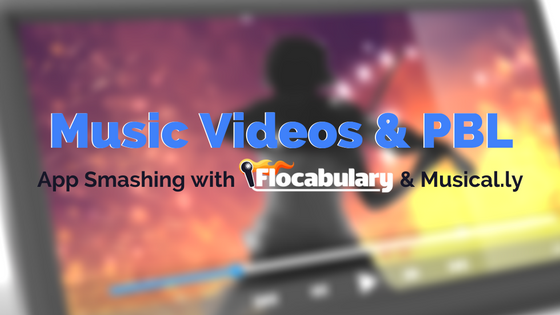 Flocabulary has a wonderful new tool set to get students started creating and publishing music videos in a community of practice. First, give students freedom to play different songs based on their interests in a particular content area. Next, introduce the Lyric Lab, the web-based tool to construct rap lyrics. Also useful are the Write Your Own Rhymes resources. The final step is having students record original songs. Try free podcasting tools, like Audacity and GarageBand. Then have students save their tracks as MP3 files. So how do students lip-sync their newly produced songs on Musical.ly? First students need to add their recording to their mobile device. Then follow the steps in the app to upload the songs. Users are prompted to select tracks, as well as to add text and images to their videos. Interestingly, when I searched on YouTube how to do this all of this, I discovered that mostly kids made the online tutorials! Here’s an example to show your students. Learning happens in communities of practice. Once students complete their videos, have them share with their friends. Students can even create a playlist of self-created music videos. Making and sharing music videos make kids creators, rather than consumers, of digital media. Using the checklist as a guide, you can see that students must have a deeper learning experience with the content when creating the lyrics with Flocabulary’s Lyric Lab. Encourage students to consider their intended audience. What would they find interesting in a music video? Their projects should include time to collect feedback from focus groups in the class early on. The community of practice in Musical.ly presents the challenge: how to create quality music content on par with other popular videos in the app. To accomplish this takes sustained inquiry, and the published work—which is public—demonstrates student voice (literally!). The student can write the reflection piece, or—better yet—have them produce quick how-to videos, like aforementioned examples from YouTube I shared. The result is a meaningful project that challenges students, and maintains a sense of fun and playfulness. 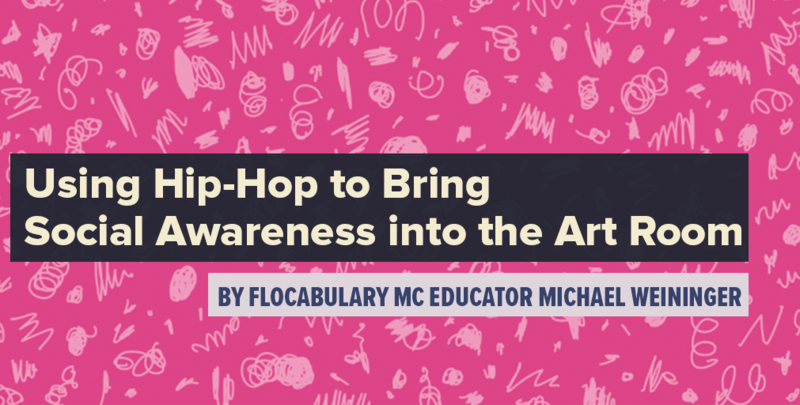 Using music apps and ed tech tools like Flocabulary make incorporating project-based learning with music a manageable for teachers and fun and rewarding for students. Try it with your students today! Have students create their own raps with Flocabulary’s new Lyric Lab! Matthew Farber, Ed.D. is a social studies teacher at Valleyview Middle School in Denville, NJ. He is also an adjunct instructor, an Edutopia blogger, and cohost on Ed Got Game on the BAM Radio Network. 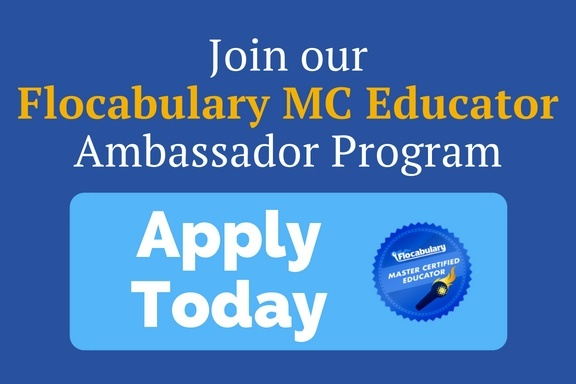 Dr. Farber is a Woodrow Wilson HistoryQuest Fellow, a Certified BrainPOP Educator, a PBS Local Digital Innovator and author of Gamify Your Classroom: A Field Guide to Game-Based Learning.